Today eyebrows are not just a fast-developing trend, they are a great opportunity for beauticians. There are a variety of services aimed at transforming this important facial feature: shaping and tinting eyebrows with a colourant or henna, microblading, eyebrow make-up and many others. Henna Spa went beyond the existing range of services and developed an innovative technique of spa-care and tinting eyebrows with a tattoo effect in one treatment. When you buy Henna SPA, you get the second product – Mineral Solution – absolutely free. 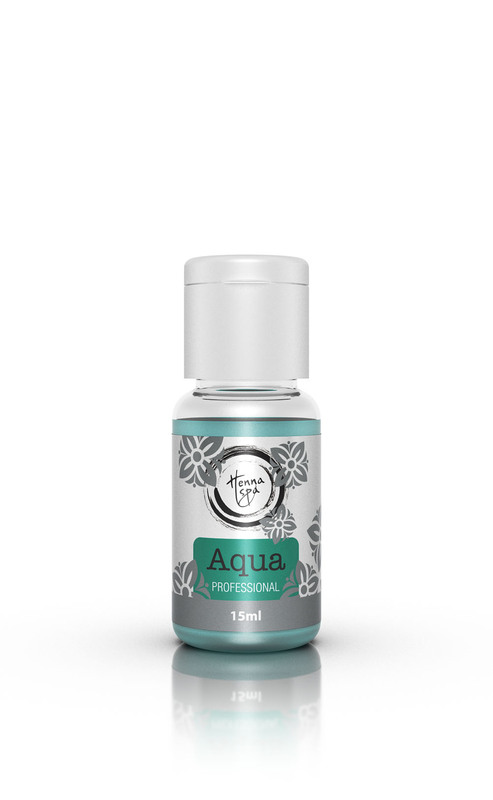 Aqua HennaSpa is a special mineral solution used for mixing with Henna SPA. 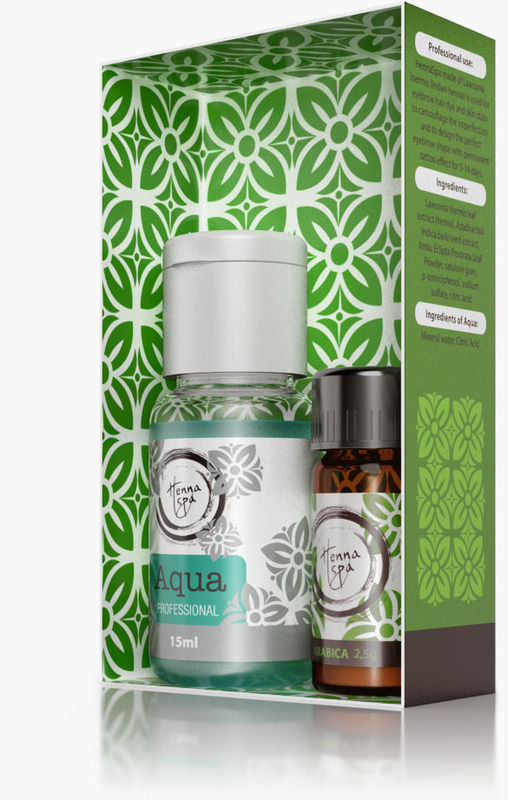 Aqua Henna Spa is included in the pack with Henna SPA. Step 1. 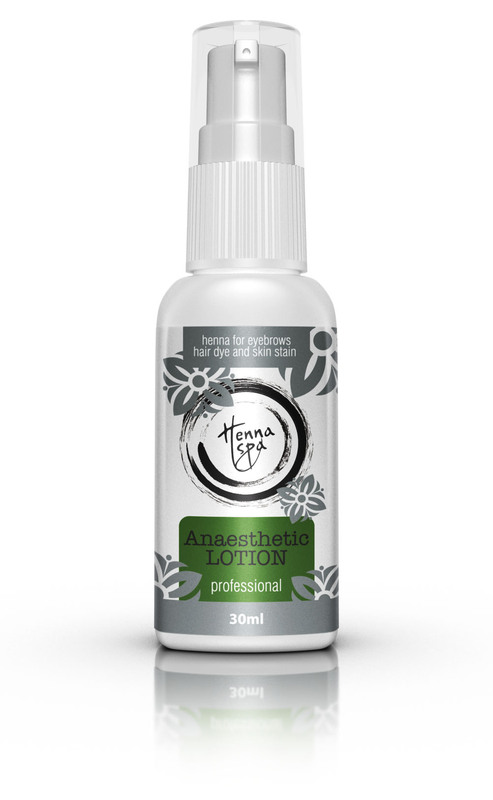 Cleansing and removing oil from skin using HennaSpa Lotion. Step 2. Scrubbing with HennaSpa. Step 3. HennaSpa shampoo will help to prepare the hairs for tinting, by opening skin scales. Step 4. 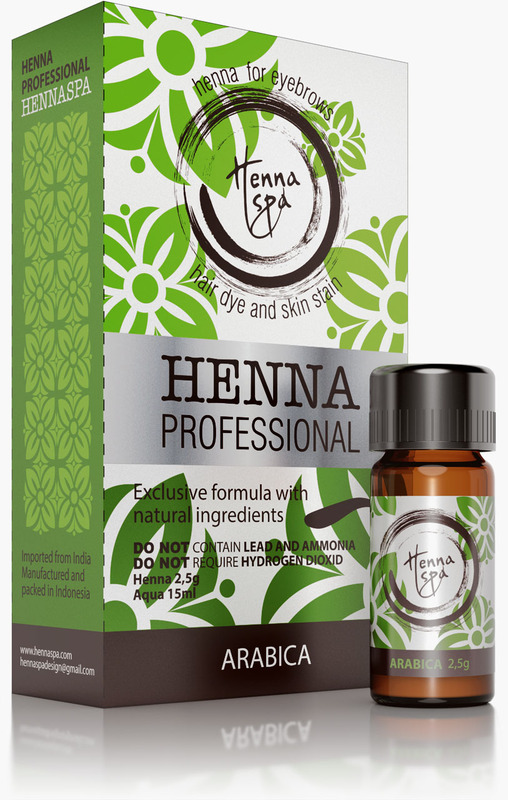 Mix the Henna powder with the special Aqua HennaSpa mineral solution and let it stand for 5-10 minutes. Step 5. Evenly apply the Henna by gently rubbing in and leave for 15-20 minutes. Step 6. Carefully remove the mixture using a damp cotton pad. Step 7. Complete the treatment by applying a special reinforcing solution to make the tattoo effect on the skin last longer. 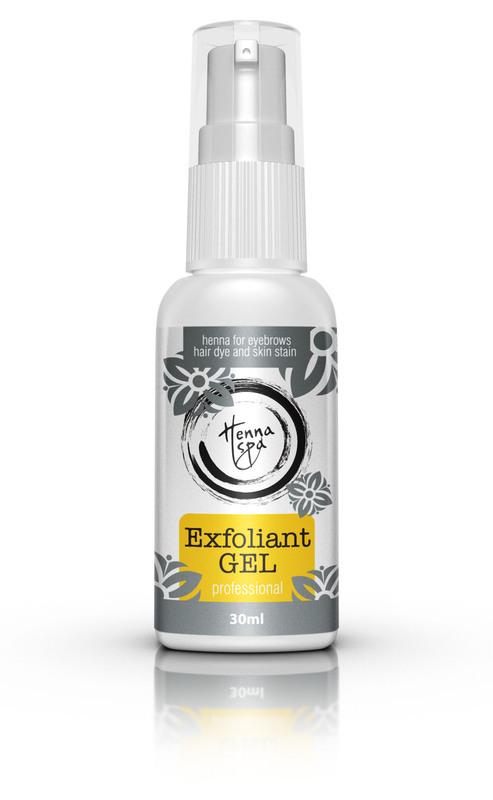 Removes dead skin cells from the skin and stimulates the growth of new ones. Deep cleanses the hairs of eyebrows, opening the scales for better colour setting. Helps to reinforce the colour on the skin to make the tattoo effect last longer. Helps to reduce the pain during hair plucking at the correction stage. This product cleanses and disinfects skin. Used to correct and remove excessive colourant from skin. This solution is mixed with Henna to prepare the mixture. This product helps to restore over-plucked eyebrows. As any treatment, Henna SPA requires correct application and use of products to achieve a maximum effect and a lasting result. The company recommends completing a course of training and will share all of the secrets of SPA treatments and ways to create ideal looking eyebrows with Henna SPA.